Most coolant pipes are made of hard plastic, it is common for these parts to break over the years after many heat cylces. Replace a brittle or cracking coolant pipe to prevent coolant loss and overheating issues. 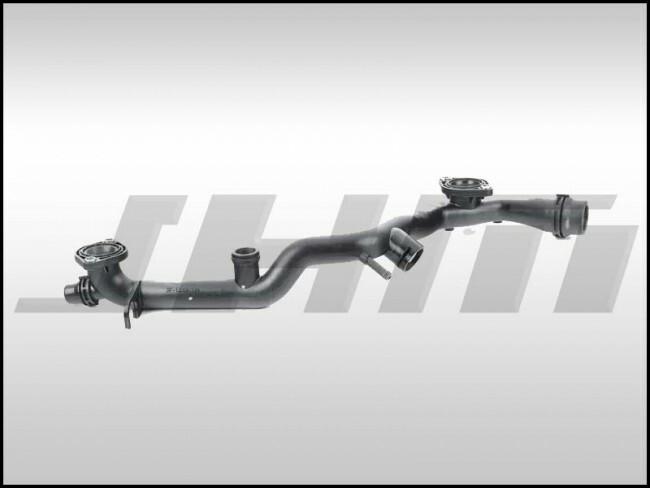 This coolant pipe is the main supply pipe that directly connects to the upper radiator hose and the engine block. *NOTE: This is for Model Years UP To 2012* If you have a 2013+ search SKU OEM-06E121045BB In our store.